Safeguard your HERO6 Black or HERO5 Black displays with these lightweight screen protectors. Safeguard against scratches and smudges on your HERO6 Black or HERO5 Black front and rear displays with these lightweight screen protectors. Easy to install and remove, they also reduce glare in bright lighting or outdoors. 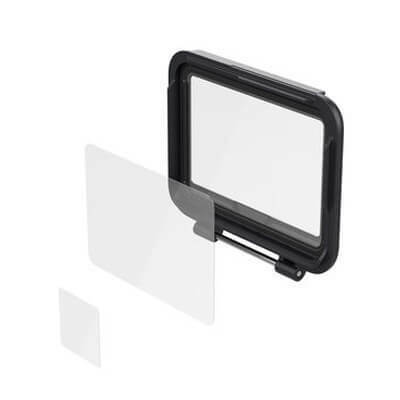 Includes five sets of screen protector films, a backdoor shield for The Frame (HERO6 Black/HERO5 Black) for more protection against gravel, dirt, and rocks, and a cleaning cloth.